I thought I might blog a little this morning, but I was having such a hard time deciding whether to write about Halloween or Christmas!! Even though I know that Halloween is the next holiday, I’m feeling a little Bah Humbug and the need for Christmas Cheer won out. In case you haven’t actually met me, I love Christmas decorations. And I don’t mean just ornaments. 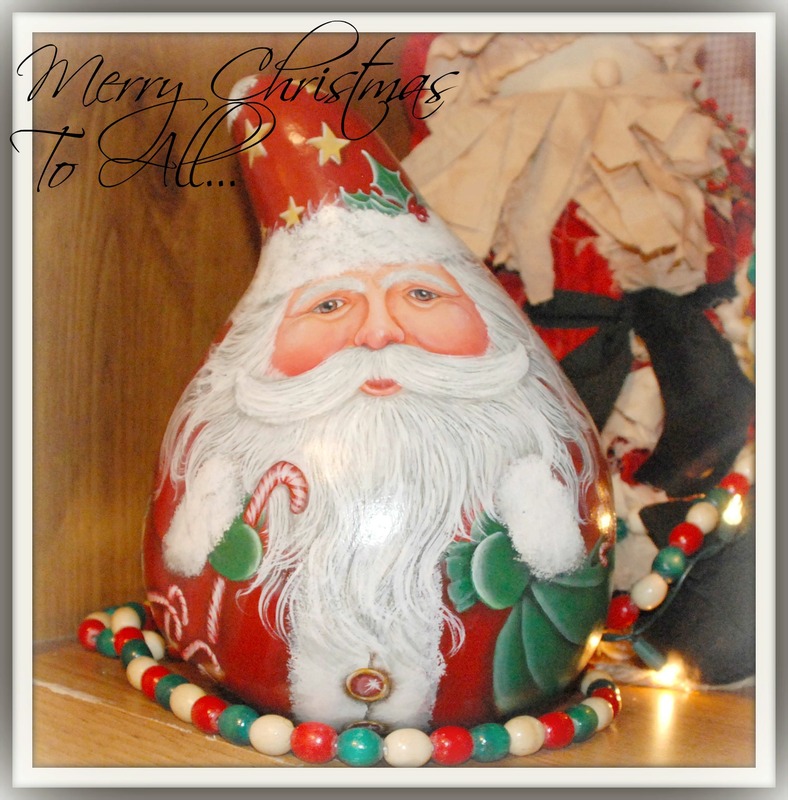 I love Santas and Snowmen and Candy Canes and various other little “geegaws” that you can hang or display! Most of my favorites, however, have been made by my Momma. Mimi (that’s what my children call her and you can too!) 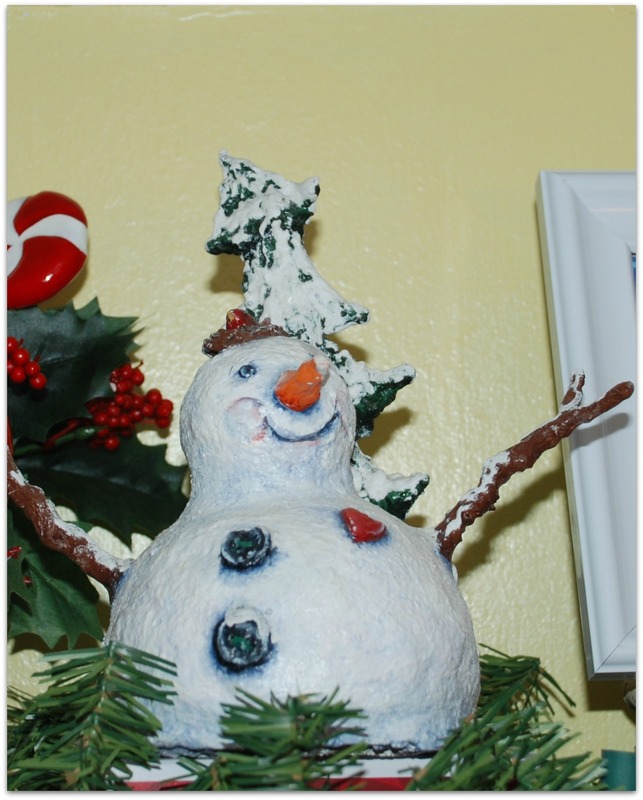 made this beautiful snowman out of styrofoam balls covered with clay (I think it was Sculpey). Then she hand-painted him. I think he’s adorable and I love the bird nest on top of his head. She has made other snow people for us as well. 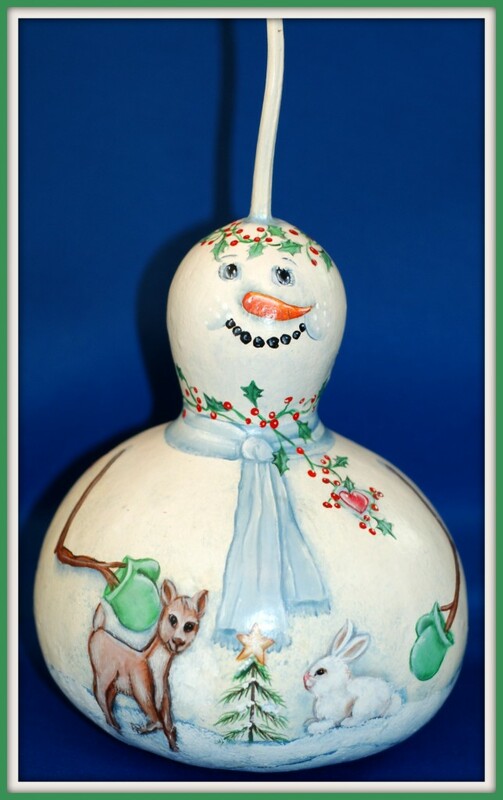 Mimi does a LOT of gourd painting. The detail she puts in to her work is phenomenal. She tells people she is a crafter, but I tell people she is an artist. And an amazing one, at that!! That bunny looks like it would be soft enough to pet!! All of her work is done free-hand. I doubt I’ll ever be patient enough to do that sort of thing. The Santas that Mimi has given me are definitely my favorites. I have several gourds and several that are cut out shapes. I even have ornaments that she has painted. The gourds are probably my very favorites though. They just look so real and the pictures don’t even come close to doing them justice. It’s impossible to see all of the detail unless you are holding one in your hands! 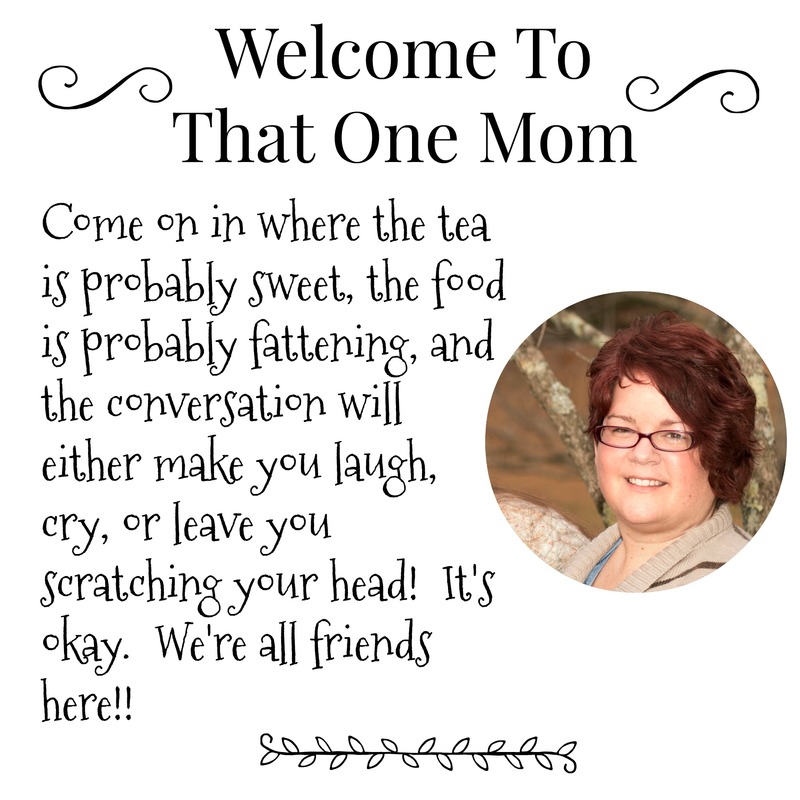 I think they hold extra special meaning to me, because not only are they made by my wonderful, sweet Momma, but they all have features that remind me of family members. Especially, of my grandfather and my great-grandfather…I can always see it in the nose or the eyes! 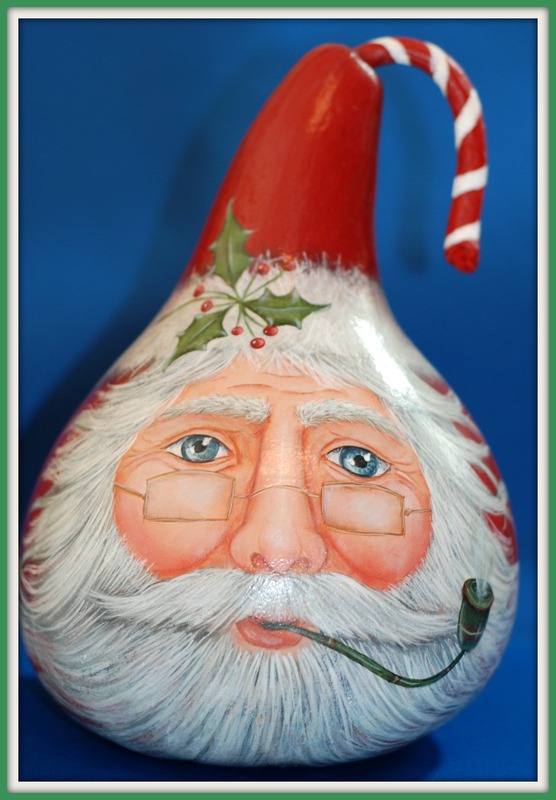 Santa’s face is just so very sweet and there is SO much detail. Again, you just can’t appreciate it unless you see it up close! So those are a few of my favorite Christmas decorations. Just looking at these pictures makes me wish it was a little closer to Christmas! What are your favorite decorations? ?